Bees are one of the most important animals in our ecosystem, in particular when it comes to agriculture. Many of the crops we rely on for food use bees as pollinators, which is why it is so important to care for and grow the bee population. On an individual level, bee farming has many benefits as well. Starting a bee farm is a rewarding hobby, and maintaining a bee farm is a great way to eventually produce your own honey and keep the rest of your garden flourishing. If you’ve ever been curious about how to start a honey bee farm, now is the best time to start exploring. There are so many products available and so much helpful advice to make it easy on you as you get started. Below, we’re sharing some our best tips for how to start a bee farm. Read on to learn more. Once you’ve committed to starting a bee farm, you’ll want to scope out a spot to keep your hives. Look for an area of your backyard where there are pollen and nectar-producing flowering plants. If you don’t have these plants already, you should establish a garden of them first. You’ll want the area that you dedicated for your bee-farming to be shady but free from wind. To start out, you’ll want room for just one or two hives. Try to be considerate of your friends and neighbors, and choose an area as isolated as possible so your bee farm won’t disturb others. Knowing how to start a honey bee farm that will be successful starts with purchasing the right equipment. You’ll need hives, obviously, but you’ll also want a variety of safety equipment and protective clothing. Shopping for items online individually can get complicated and expensive. When you are first starting out, you should look into the best beekeeping starter kits for beginners. A kit will come complete with everything you need, so you don’t have to worry about shopping around or potentially forgetting an important item. A lot of beekeeping is solitary. Just because you are passionate about starting a bee farm doesn’t mean that all your friends and family will be too. You may find yourself out tending to your bees alone most of the time. That’s why it can be so beneficial to join a community of other beekeepers. The Internet is a great resource for finding other beekeepers to talk to and learn from. 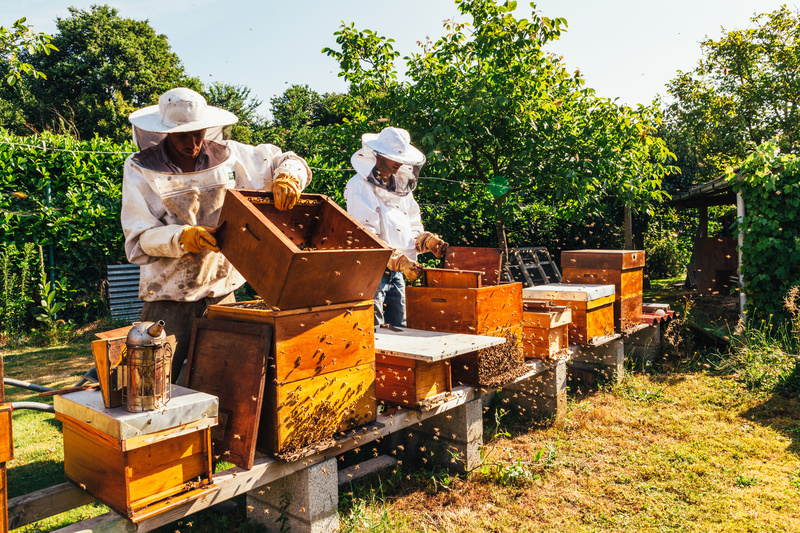 If you’re lucky, you may find that your community has many local beekeepers that you can meet in person. Even joining Internet chat groups or following social media pages for beekeepers can be helpful, especially for beginners. When you’re just starting a bee farm, you’ll have lots of questions. On the Internet, you can get connected to more experienced beekeepers with answers. Want to Know More About How to Start a Bee Farm? Learning how to start a bee farm may seem like an overwhelming task, but it doesn’t have to be. If you’re passionate about beekeeping, it will be well worth it. You’ll be benefitting your local ecosystem, and you’ll find a new hobby that you can enjoy. For more tips on starting new interests and trying something new, please browse our resources at any time.